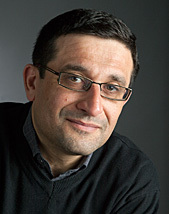 Mohammad Al-Emrani is an Associate Professor at the Division of Structural Engineering, in the research group Lightweight Structures, at Chalmers. Mohammad has since 2008 a position of Associate Professor at the Department of Structural Engineering. He has focused in his research on several fields including the fatigue performance of steel structures as well as well as FRP composite structures and FRP materials for the strengthening and repair of structures. Mohammad is a member of several national and international committees and organizations including TC6-ECCS and IIFC. International symposium on bond behaviour of FRP in structures, 8-10 December 2005, Hong Kong, China. There might be more projects where Mohammad Al-Emrani participates, but you have to be logged in as a Chalmers employee to see them.